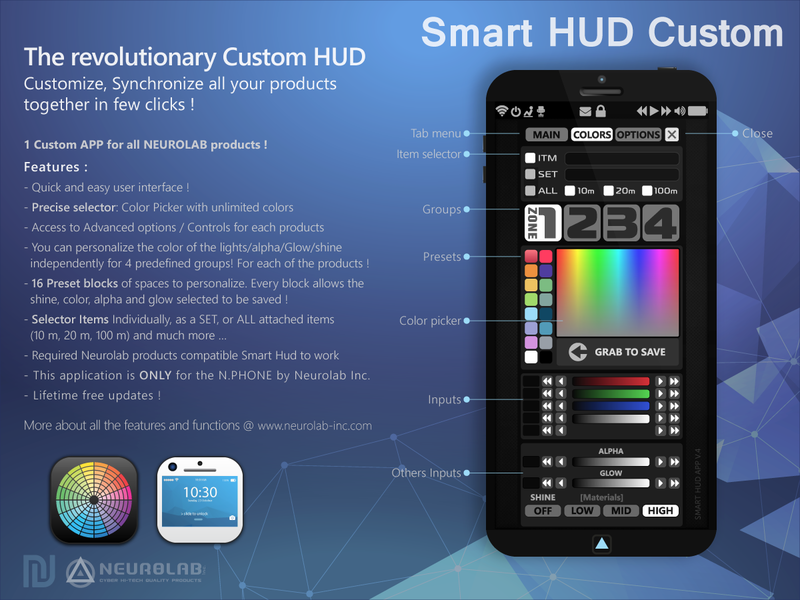 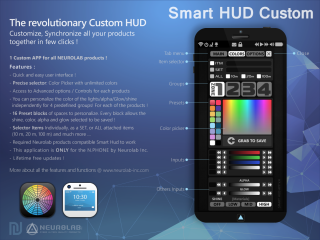 The tube are supplied with a HUD customization “Smart Hud,” which allows you to customize 2 different zones with an infinite number of combinations. 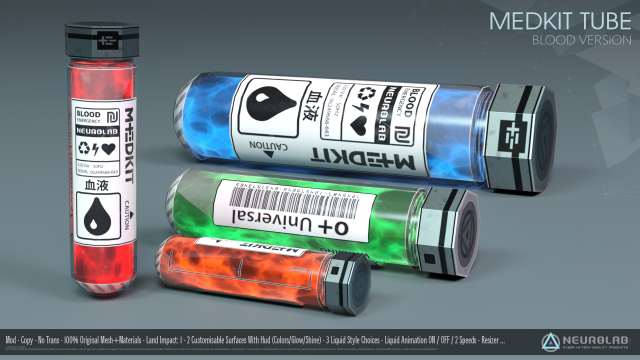 The tube are fully editable, customizable and colorable to go to your avatar (land impact: 1). 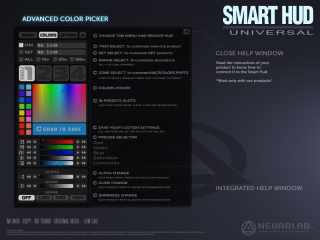 Create an infinite number of unique colors combinations to match your style and role-play. 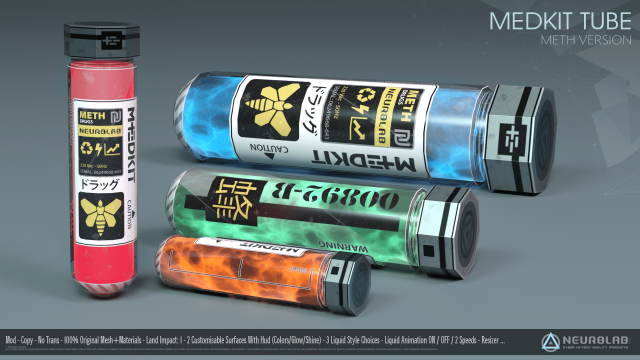 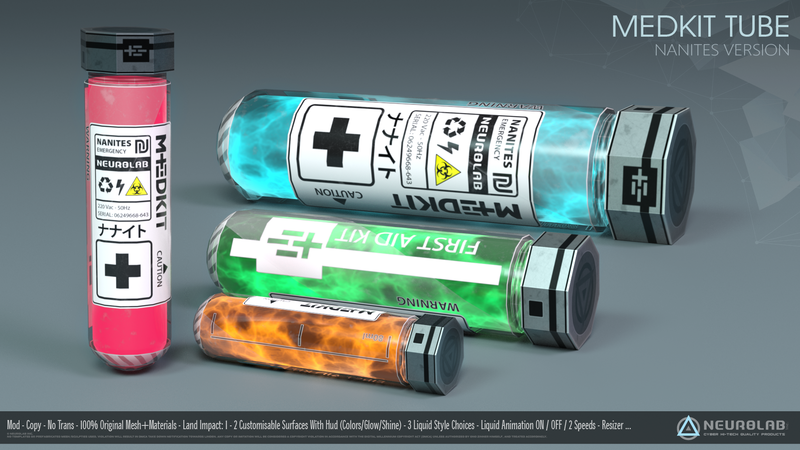 – Wear or rez the MedKit tube. 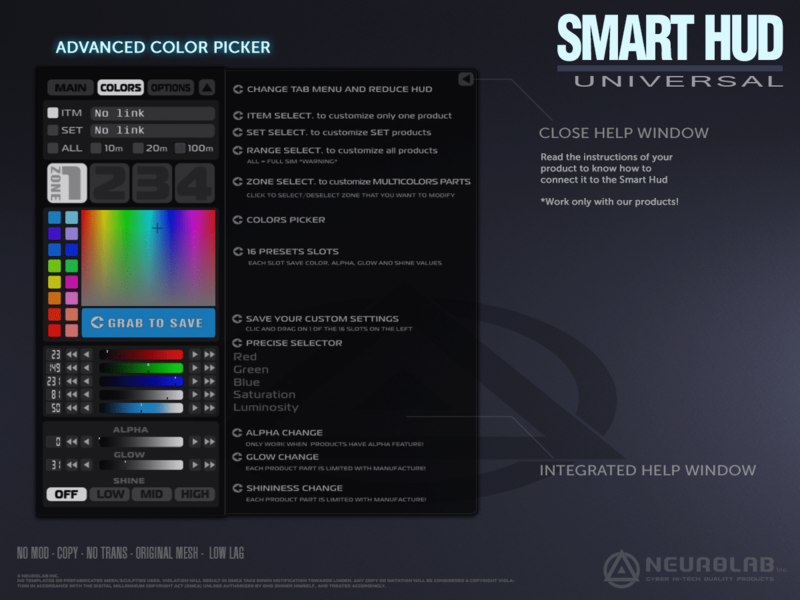 – Click to tube to open “Menu setting”, then adjust the size, others options..